Get a free quote and call now! Let us maintain your Sweepers & Scrubbers! Sweepers & Scrubbers Warehouse Direct Australia provide you with the leading brands in cleaning equipment and sell directly to Australian business of all sizes. Our range caters for all environments from your warehouse to a stadium or shopping centre. 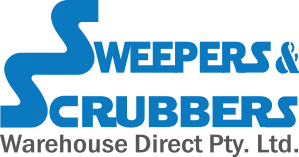 Sweepers and Scrubbers Warehouse Direct Australia not only provide first class products and services but is here for the long haul with the capabilities to maintain and service your existing sweepers and scrubbers. With peace of mind that you're supported at all times and have a ready and reliable team behind you why would you consider any other sweeper and/or scrubber supplier. For an obligation free quote and/or advice on your current situation and needs, please don't hesitate to contact us now. Our experienced staff have decades of experience to cater to your needs and steer you in the right direction. Real people with real advice and quotes at competitive prices. We're here to help you problem solve your cleaning needs.